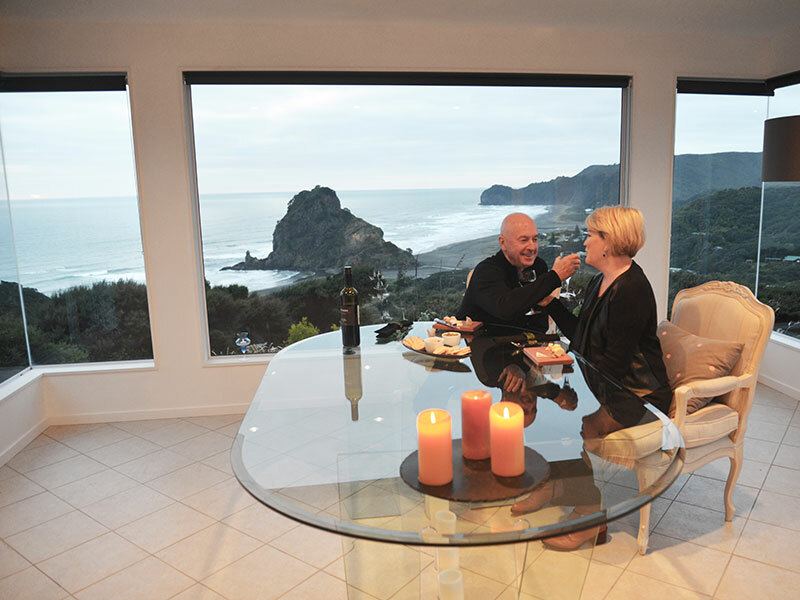 Nestled in the foothills of the Waitakere Ranges overlooking Lion Rock at Piha Beach, your exclusive private residence awaits you in our Auckland Beaches premier tours range. 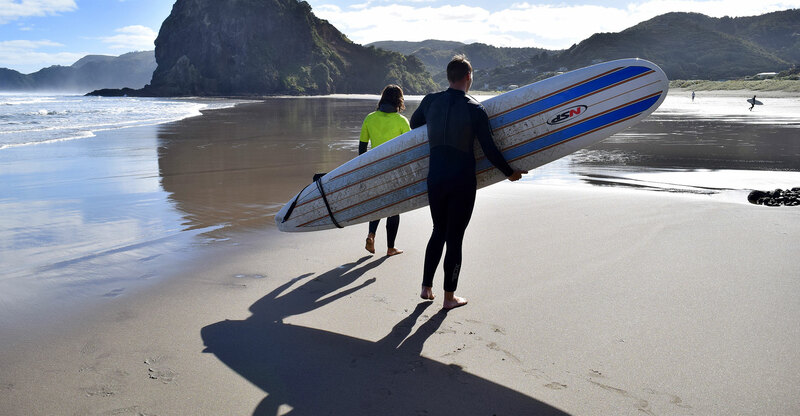 Enjoy a private surf lesson for two hours before showering and changing for dinner whilst you watch the last surfers of the day over a fine New Zealand wine. If surfing isn’t your thing – maybe you'd like to accompany your guide on scenic walks to local waterfalls and stroll along the stunning black sand beach before sitting down to dine. 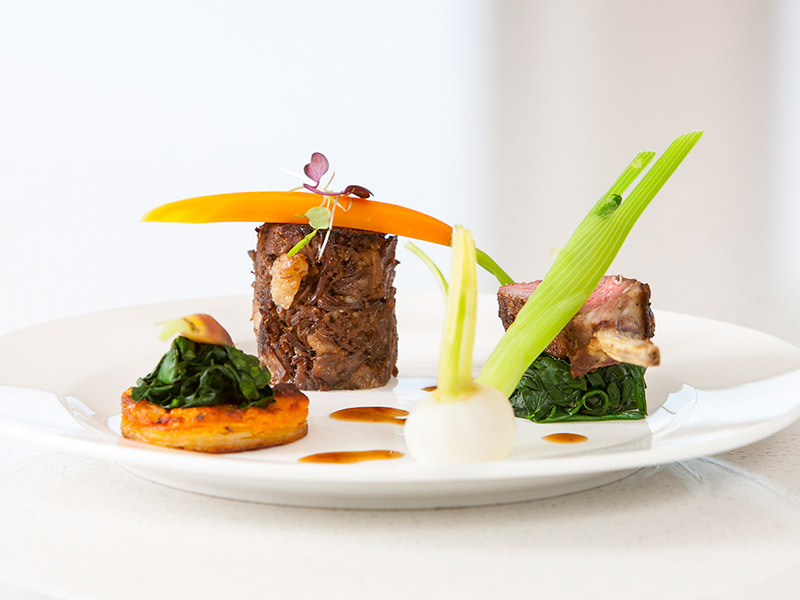 Enjoy a selection of our local reserve vintages with your degustation menu created by one of our top Auckland Private Chefs. 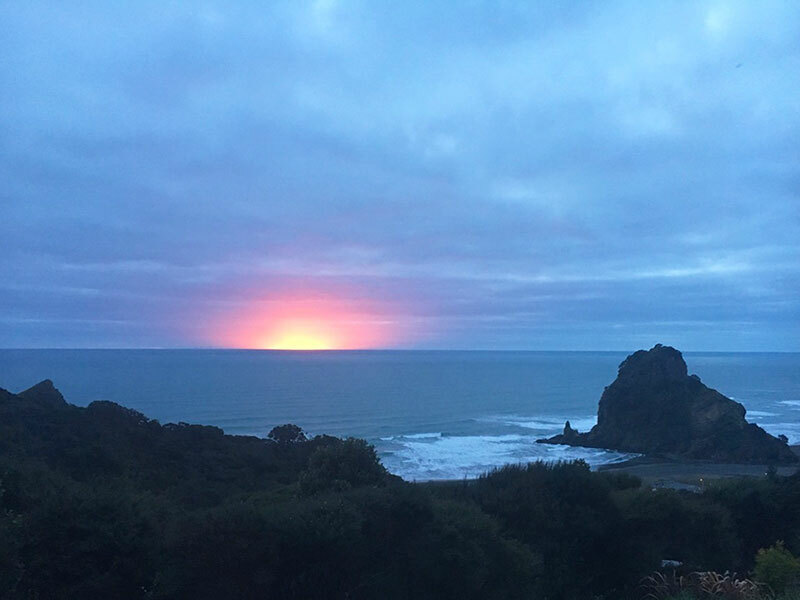 Under an hour away from Auckland city centre, you will be amazed at the wild beauty of Piha Beach and the Waitakere Ranges, leaving you plenty of time to enjoy some of our hidden treasures without having to drive for hours and hours. 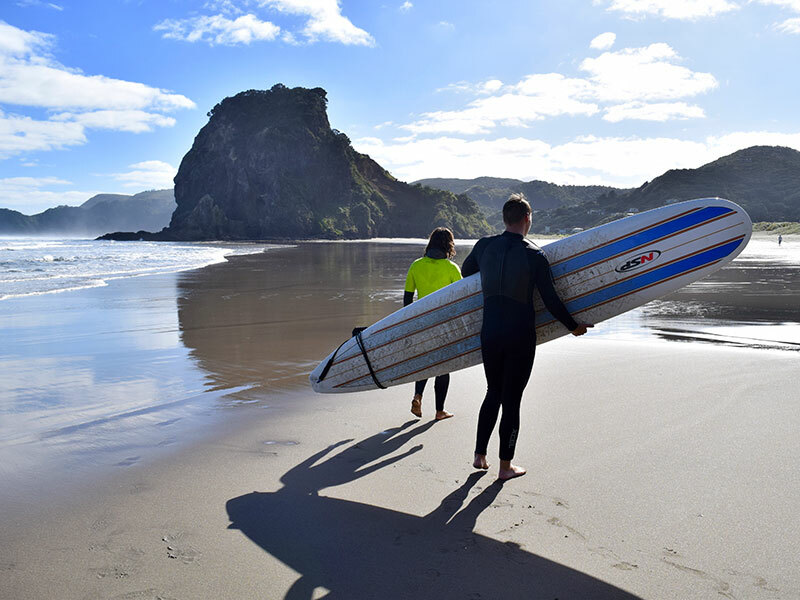 Enjoy a day or evening Piha Beach private tour on one of our premium Auckland Tours. We will collect you from your hotel foyer late morning or about 4pm in one of our Land Rover Discovery Executive 4WD's. Kick back with relaxing music and views to die for before retiring for the night - Go to sleep with the stars and awake to a lion!